It's worth looking at the printing industry in general terms every few months. This is a field in transition, and learning about current conditions will often reveal valuable new information. It's obvious that the old rules no longer apply, due to paper's fall from a ubiquitous communication and record-keeping medium to one option among many. However, this transition hasn't meant "death" in the way some predicted when digital solutions first appeared. Instead, the shifts are more nuanced and worth keeping up with. As 2017 begins, it's a good time to step back and take one of these periodic looks at how the printing business is evolving. With more than a decade having passed since online systems weakened paper's hold in the corporate marketing and record-keeping world, the changes happening today don't have the bold impact of that digital revolution. That said, the world of paper products is far from stagnant – a new wave could be cresting. Marking the beginning of the year, and a transition of government from one president to the next, WhatTheyThink columnist Joe Webb recently urged print industry insiders to ignore the political and economic noise saturating the news and look at the fundamentals underlying the industry. Webb explained that the third wave of digital media is rising, and organizations that fail to acknowledge this dominant trend and adapt to it will be at a significant disadvantage. The three waves began with the internet's rise in 1998. According to Webb, that first era lasted until 2005. Next, there was the social media age, aided by mobile. Webb specified that the current wave, the third, is also based on mobile device use, this time as a primary way of communicating with the world. When marketers or other communications want to reach out to people, they look to smart devices first. Furthermore, data collection is at the root of the new style of media. Companies are targeting precisely based on a stream of information. What are print companies supposed to do in such an environment? Thankfully, Webb had some suggestions. Organizations have to keep moving. Those that have changed with the market, taken in digital competency at a foundational level and devoted themselves to understanding contemporary communications decisions have not fallen off in recent years. Webb specified that these organizations are not feeling the sting of the year-over-year shipment declines that struck print as a whole in 2016. As for whether companies will merge, Webb suggested that winners will have opportunities to buy other organizations, but may not get good prices if they strike too quickly. And, as for companies that have failed to adapt and take on methods that suit the modern marketplace, the author noted that they may be leaving the scene in 2017. With 19 years having passed since the digital revolution reached critical mass, the print service providers of the world have fallen into a few patterns. Some continue to thrive – others are lucky to survive. In a recent discussion of what kinds of print businesses are attracting the attention of potential buyers – a rare occurrence during the troubling days of the Great Recession, Printing Impressions Mark Hahn highlighted several of the factors that show print service providers are vibrant, functional and effective in their particular verticals. These are good indicators to take into account as 2017 goes on, as they will certainly help tell which firms have successfully found their niche and which are struggling. For instance, Hahn praised businesses that show of specialization and competence in their offerings. Not just any printer can survive in 2017. Firms that deliver products that address customer concerns – and do so in a targeted rather than general fashion – are on the right track. Hahn also explained that winning print service providers have defined verticals. This kind of niche approach isn't so hard for leaders to accomplish, though it does take research. Particular industries have specific print requirements, some more than others, and ideal service providers have sharpened their appeal to specific markets. Printing can never go back to the halcyon days of 1997. That's far from a death sentence, however. 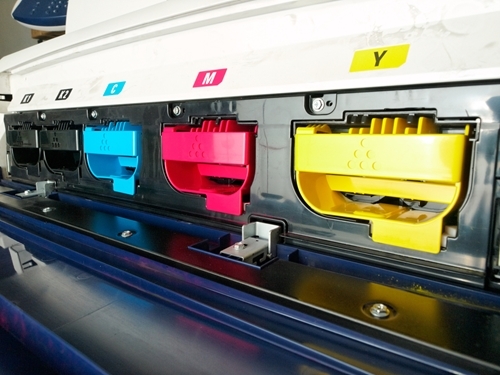 The 2017 industry will almost certainly be tough on some, namely companies that don't understand their modern customers and offer products they like and need, but not every printer needs to be on that ship when it goes down. There is room at the top for companies that are agile, digitally powered and aiming at actual requirements they have identified among potential customers. The story of 2017 could be two tales in one, with some firms seeming to play out the worst fears of the early-2000s doomsayers and others finding a new lease on life. It's likely clear to print leaders which category their companies fit into. Now, it remains to be seen whether trailing bosses can get into the winning column – and stay there.